Growing up, I was a dedicated Lego builder. I was even a paying member of the International Lego Builder’s Club. I was featured a couple of times in their magazine with my Lego constructions. I learned how to build things even with the limitations of a toy. I’ve moved on to building sheds, decks, and renovating rooms; there’s something invigorating in dreaming up what can be done with my tools and available materials. It’s all in the organization of the individual steps that are required: and building them, one block at a time. A church website has many foundational details that need to be arranged BEFORE you even consider user-interface design. Determine Your Church Brand. This is the ‘specific story’ that you consistently promise to your ‘specific audience’. This is the true foundational base of all your effective Church communications. You need to establish what you want your community to know you for. Discover What They’re Looking For. Knowing your brand and using that as your filter, what is your audience looking for? What do they need? List everything using your available analytics from your last/current website. What are they looking for? You can identify that by looking at the top pages that are opened regularly. Then consider additional content that should be added to help your brand and audience. Create Organization Under a Simple Menu. Knowing what they want, decide on a basic menu (about 4-6 items) where your content can be obviously found. Start with ‘About’ and end with ‘Contact’. If people can’t find the content, it’s all worthless. This is where most church websites are broken. Your sitemap is critical. It must be simple and very obvious. The Smallest Amount of Content That’s Necessary. Once you have a list of all the pages that will be on your website and know what menu they’d be found under, you need to consider what content the audience would expect on each page. Write the smallest amount of copy that’s required to fulfill it. If photos are needed, then collect them. Then edit, arrange with bullet points, and edit some more. Each page should be around 50-75 words. 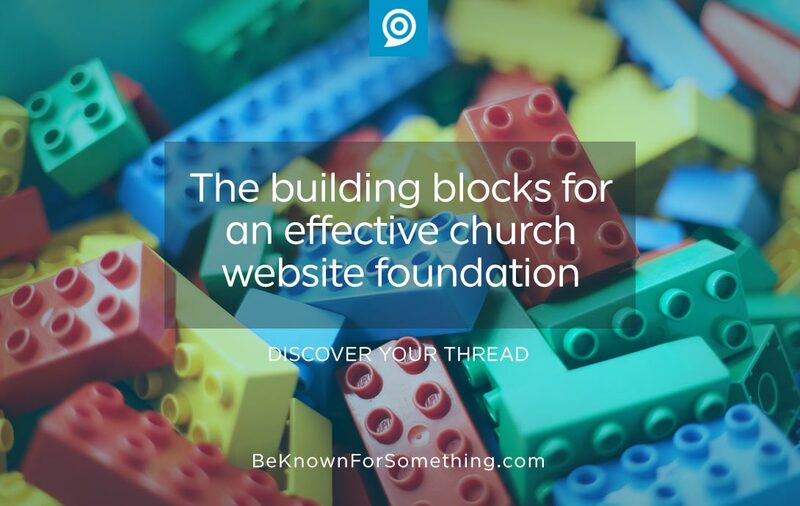 These are the foundational building blocks required for an awesome church website. Don’t design the house until you build the foundation and walls. 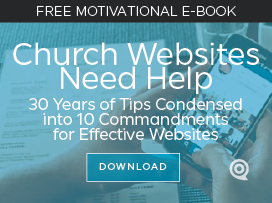 The wise man builds his church website upon a firm foundation!